The Round Grove fireplace/brick oven combination unit blends the best of our leading ready-to-finish, quality products. 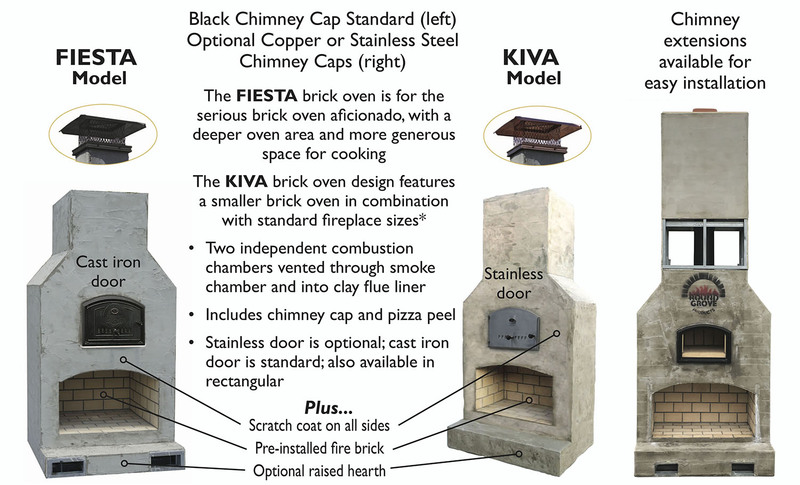 Our Round Grove ovens are featured in three models, Baha (Mini, Poco, Mezzo and Largo sizes) Fiesta (Mini, Poco, Mezzo and Largo sizes) and Kiva (Mezzo and Largo sizes). Custom sizes are always available. Why a Round Grove Combo Fireplace & Brick Oven?